Welcome to Estaca de Bares! Estaca de Bares (A Coruna province, Galicia Autonomous Region; see maps here) is the northernmost headland in Spain, and the "gateway" to the Atlantic for the seabirds leaving the the Gulf of Biscay southwards. 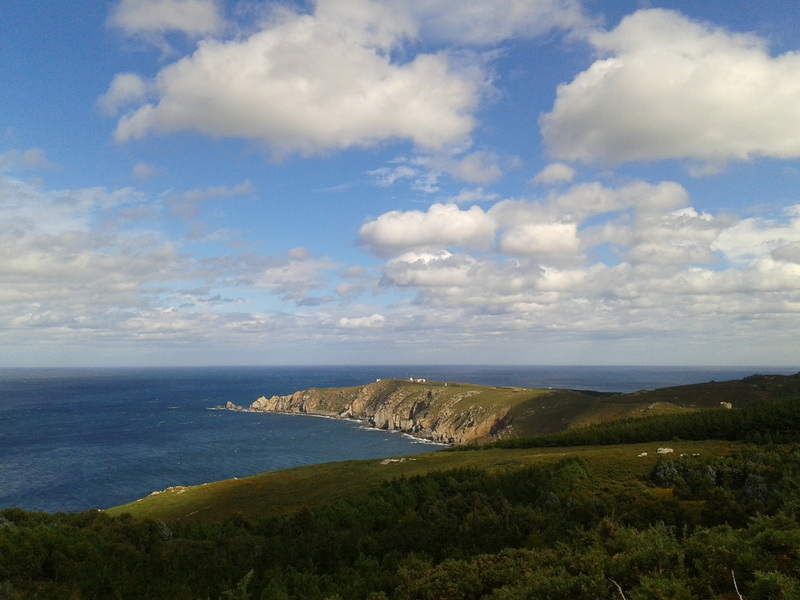 The cape area is included in the Natura 2000 network as Special Area of Conservation. The surrounding sea is an Important Bird Area (BirdLife International) due to its importance as a migration corridor for several species of seabirds. The summer and autumn months provide the highest bird diversity. The best seawatching days for most species are those with W, NW and N winds, when amazing numbers of skuas, shearwaters, terns or gannets can be spotted. This web page is devoted to the study of bird migration across this area, very little known outside Spain.